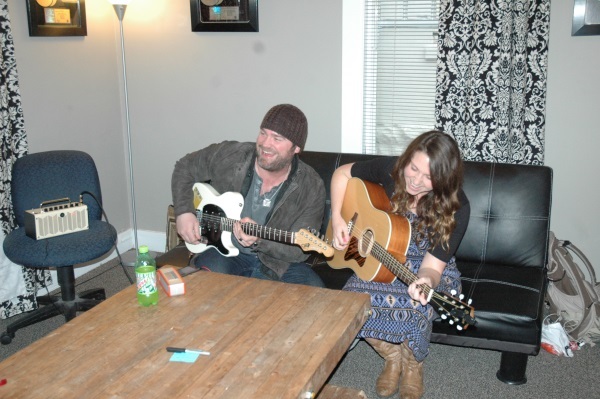 It’s a pretty good day to be Caroline Spence: this morning she got to sit down for a “Dream Co-Write” with Grammy-nominated country artist Lee Brice. Her song “Mint Condition” won 1st place in the July/August 2013 Lyric Contest and was chosen as the best overall for 2013, which awarded her a writing session with the Curb Records artist behind “I Drive Your Truck.” Spence also won a professional demo session, a Gibson guitar, and a legendary Shure SM58 microphone. Stay tuned to American Songwriter in the coming weeks for behind-the-scenes footage of her co-write and demo session. Enter the current Lyric Contest here for a chance to win a Dream Co-Write with Ashley Monroe.